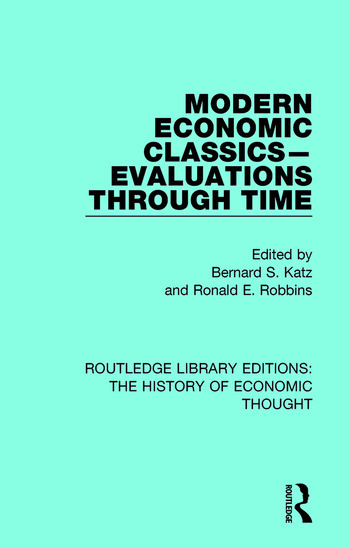 In this book, first published in 1988, the editors have included the reviews of thirteen classic works on economic theory, empirical economic studies, political economy and management. Each major work was chosen due to its contribution in shaping our current knowledge and perspectives, and each essay is commented on by important critics in different eras. This title will be of interest to students of economic thought.